Have a question about the Akona Wahoo Jr Snorkel? Semi-Dry top keeps the water splashing in the surf or rough water from coming in the snorkel tube. The snorkel has an easy clear purge valve with a deep well reservoir to keep the air way clear of residual water. The Wahoo comes equipped with a comfortable clear Jr. sized silicone mouthpiece which curves inward to reduce jaw fatigue. 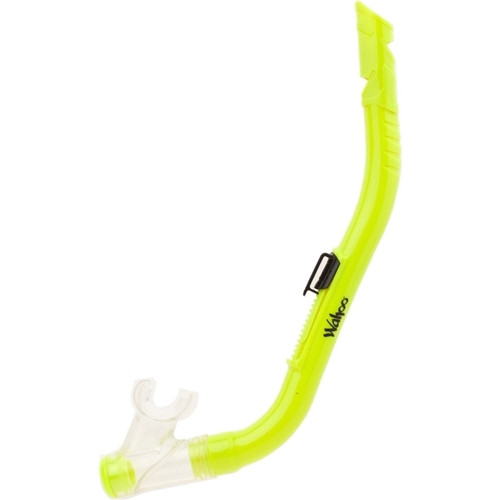 The snorkel keeper is easy to attach to your favorite kids mask.